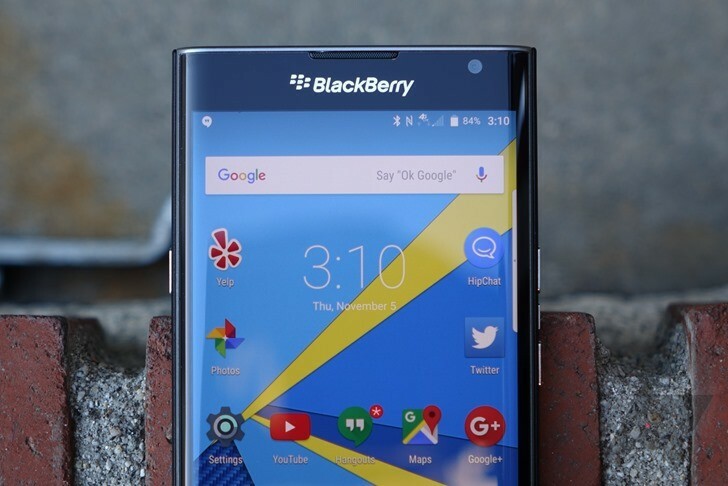 A couple of months ago, we heard a rumor that Blackberry was working on 2 new midrange Android smartphones, one with a physical keyboard and one without, slated for release this year. Now Evan Blass (@evleaks) is following up with more details and specs, a third smartphone, and possible release dates. The first phone, scheduled for July-August, is Neon. It has a 1080p 5.2" display, Snapdragon 617, 3GB of RAM, 16GB of storage, a 2610mAh battery with Qualcomm Quick Charge 2.0, a 13MP camera on the back and 8MP on the front. This midranger supposedly has an aluminum frame and a plastic back and should be priced free on contract. The second phone, Argon, is scheduled for release in October. It's the most powerful of the bunch with a 5.5" QHD display, Snapdragon 820, 4GB of RAM, 32GB of internal storage, a 3000mAh battery with Quick Charge 3.0, 21MP camera on the back and 8MP on the front, a fingerprint reader, and USB Type-C connector. And finally, Mercury is slated for Q1 of 2017. It's a full aluminum device and the only one in this roadmap to have a physical QWERTY keyboard, but it will follow a candybar form factor, not a slider like the Priv. Otherwise, it has very modest specs including a 4.5" full HD display in 3:2 aspect ratio (to accommodate for that keyboard on the bottom), Snapdragon 625, 3GB of RAM, and 32GB of storage, a 3400mAh battery, and 18MP/8MP cameras on the back and front. According to Evan, these three smartphones will be priced competitively to try to save BlackBerry's relevance as a hardware manufacturer. At least the company is still doing its best to build QWERTY smartphones, something other OEMs have completely abandoned a long time ago.